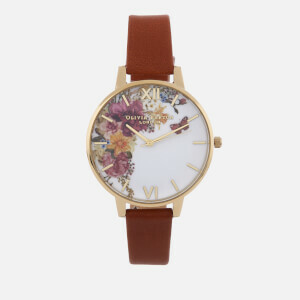 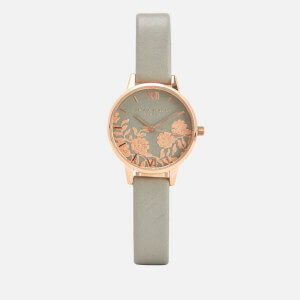 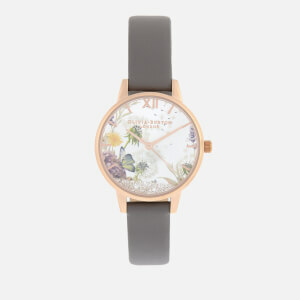 Women’s ‘Marble Floral’ watch from British accessories brand Olivia Burton. 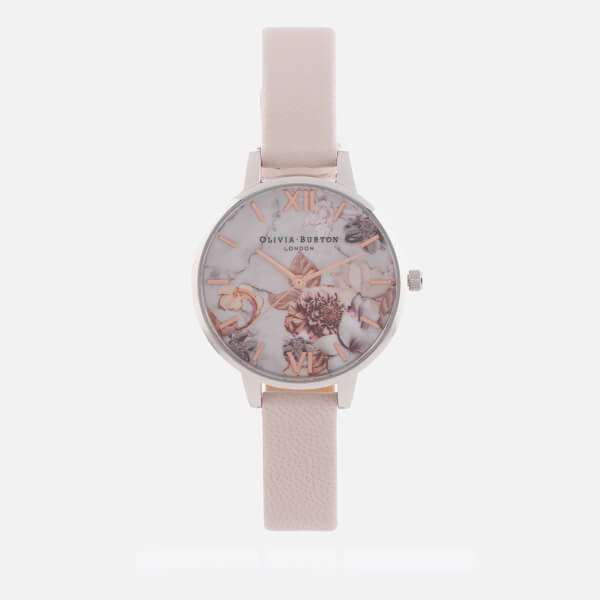 Crafted with an intricately designed dial adorned a marble-effect ground and colourful flowers, the wristwatch comprises a circular stainless steel case with rose gold-tone Roman numeral and baton markers. 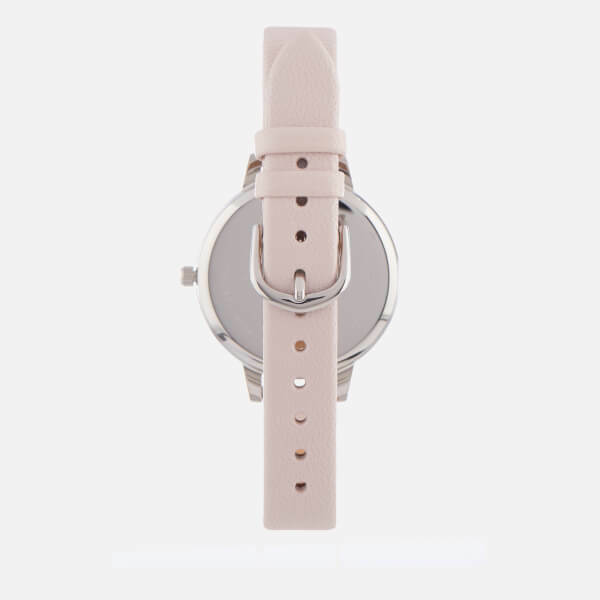 The timepiece arrives on a soft pink leather strap secured to the wrist with a pin buckle. 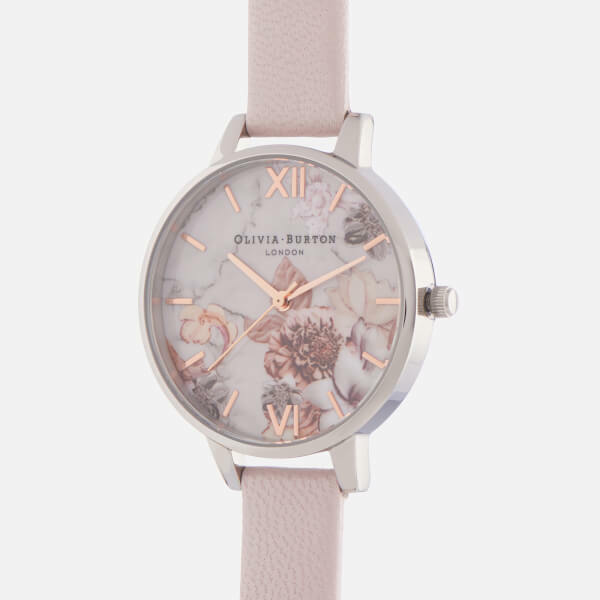 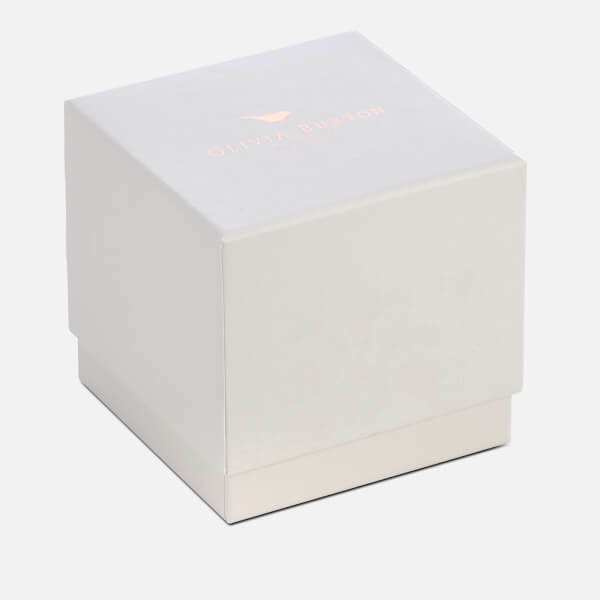 Complete with Olivia Burton branding to the watch face, back of the case and etched to the strap’s underside.